← that was a surprise! Our dear friends Wally and Ridgely have finally settled in their new home in the nearby town of McMinnville. We have a long story of friendship that you’ll read/see more about in the next few days. But tonight I’ll just share two pictures taken earlier this evening after we shared a meal at their table. We were 19 minutes late for dinner because we couldn’t find their address in the fog and the dark. 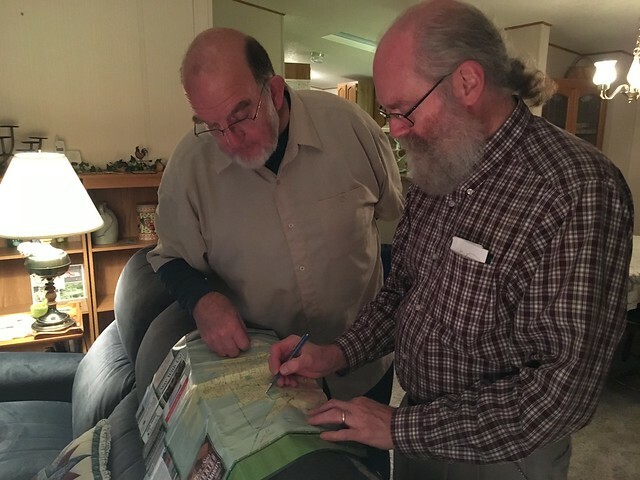 The bearded ones study the local map to help us find our way back home. 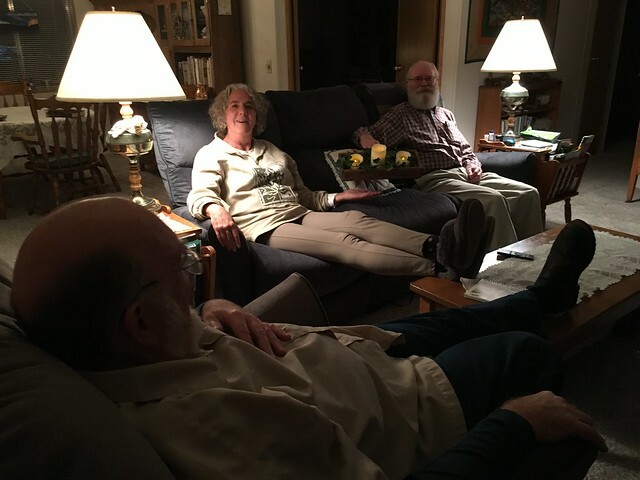 Once we sat down on their comfy new furniture in their warm and cozy living room, it was hard to muster what it took to get ourselves up and moving out the door. Can’t express how good it was to finally be able to reciprocate your more than generous hospitality over so many years! Feel free to camp out in our chairs anytime! I feel like I know Ridgely….but we’ve not met face to face, yet! Welcome to Oregon!